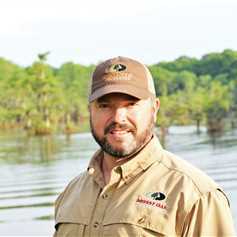 Jeff was born in the Southeast Arkansas town of Wilmot where fishing, farming and hunting were the 3 seasons in a year. After graduating from U.C.A. in Conway, living in Little Rock, he eventually moved to Rogers with his wife, Missy, oldest daughter, Alli, and twins, Sam & Sophie. Jeff now uses his experience in real estate finance, business ownership and land management to help others pursue their dreams of owning or profitably selling land in Arkansas, Missouri and Oklahoma.